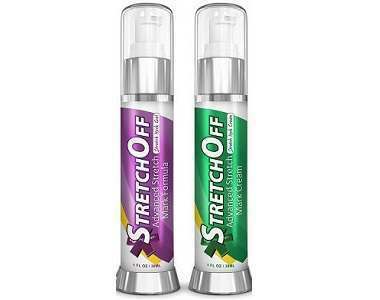 The following review is for a product called Apothederm Stretch Mark Cream. A product formulated by the manufacturer to help build collagen while reducing the appearance of existing stretch marks. It protects the skin to prevent future stretch marks, as well as support and firm the skin. 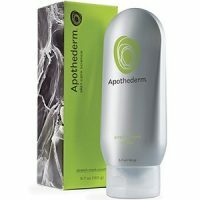 What’s in Apothederm Stretch Mark Cream? Heptapeptide-7 – helps support tissue and boosts collagen. Butyrospermum Parkii (Shea Butter) – seals the skin’s natural moisture balance in. Limnanthes Alba (Meadowfoam) Seed Oil – forms a moisture barrier. Olea Europaea (Olive) Fruit Oil – An emollient that helps soften skin. Theobroma Cacao (Cocoa) Seed Butter and Sodium Hyaluronate – assists by softening the skin as well as moisten the skin. Pichia/Resveratrol Ferment Extract – reduces discoloration. Glycyrrhiza Glabra (Licorice) Root Extract – an anti-irritant that helps to reduce discoloration. Glycerin – attracts moisture to the skin. Butyrospermum Parkii (Shea Butter) – helps repair the skin. Limnanthes Alba (Meadowfoam) Seed Oil – forms a barrier to lock in moisture and deliver nutrients deep into your epidermis. Cetyl Alcohol – keeps an emulsion from separating into its oil and liquid components. Glyceryl Stearate – skin conditioning agent. Cyclopentasiloxane – used as a conditioner, delivery agent, lubricant, and solvent. PPG-3 Benzyl Ether Myristate – improves the spreadability of creams. Tocopheryl Acetate – protect the body from damaging compounds. Sodium Hyaluronate – used as a filler to treat loss of facial volume and wrinkles. Sodium Stearoyl Glutamate – have cleansing and skin-caring properties. Panthenol – used as a lubricant, emollient and moisturizer. Pichia/Resveratrol Ferment Extract – lifts the skin, making sagging much less noticeable. Glycyrrhiza Glabra (Licorice) Root Extract – helps control oil production, calms and soothes acne-prone skin. Olea Europaea (Olive) Fruit Oil – suitable for normal to dry skin and it leaves the skin feeling soft and silky. Bisabolol – penetrates deep into the skin, it rejuvenates the skin from within. Glucosamine HCL Algae Extract – used for its anti-inflammatory and elasticity properties. Yeast Extract – reduces the amount of oxidative stress that occurs on the skin. Glycine – used for its healing properties. Alanine – is used to balance moisture levels in the skin, thus improving skin hydration. Isoleucine – is a skin conditioning agent. Leucine – produces firmer, more supple skin and increases elasticity by repairing aging skin tissue. Urea – prevents dryness and itching. Butylene Glycol – helps other products dissolve in water. Phenoxyethanol – used as a thickener and softener. Caprylyl Glycol – increases the antimicrobial activity of other preservatives. Hexylene Glycol – is a solvent and viscosity agent. Ethylhexylglycerin – is a conditioning agent and preservative. Xanthan Gum – is used to prepare water gels. Water – dissolves the ingredients that impart skin benefits. The above ingredients may be effective in nourishing, hydrating, discoloring and promoting elasticity, but clinically proven key ingredients are lacking such as Onion bulb extract (for reducing scarring significantly), and Aloe Vera (used to speed up the healing process). These clinically proven key ingredients are vital in promoting internal healing and to speed up the healing process. 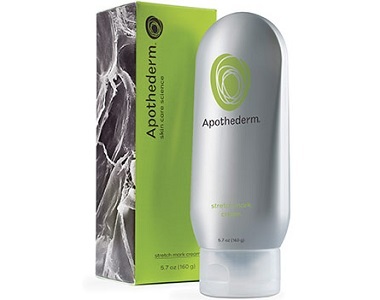 How Do You Use Apothederm Stretch Mark Cream? The manufacturer recommends that this product should be applied in the morning and evening, in a circular motion to areas with stretch marks. The cream has to dry before the consumer puts on their clothes. This product must be kept out of the eyes. 5.7 Oz cream at a price of $95.00 may be purchased online from the manufacturer’s website as well as third-party retailers. The manufacturer offers a 30-day money back guarantee if the consumer is not satisfied with the product it may be returned for a refund. Returns are limited to one return per product. The consumer has to contact Customer Service and they will provide an RGA number which is needed before the item may be returned. The customer reviews are mixed some are satisfied with this product and some say they will never buy this product again. Apothederm Stretch Mark Cream has a few customers that are pleased with the result and the manufacturer does offer a guarantee. However, we would classify this cream as a normal body rejuvenating cream. Even though there are many ingredients in this formulation, clinically proven key ingredients have to be added to give the customer quicker healing time and effective stretch mark reduction. The manufacturer’s guarantee which limits the customer to one return per product is rather disappointing, as well as the negative customer reviews.